I have a 3 day auction going for a 4ft woody bull with a birdseye maple handle. 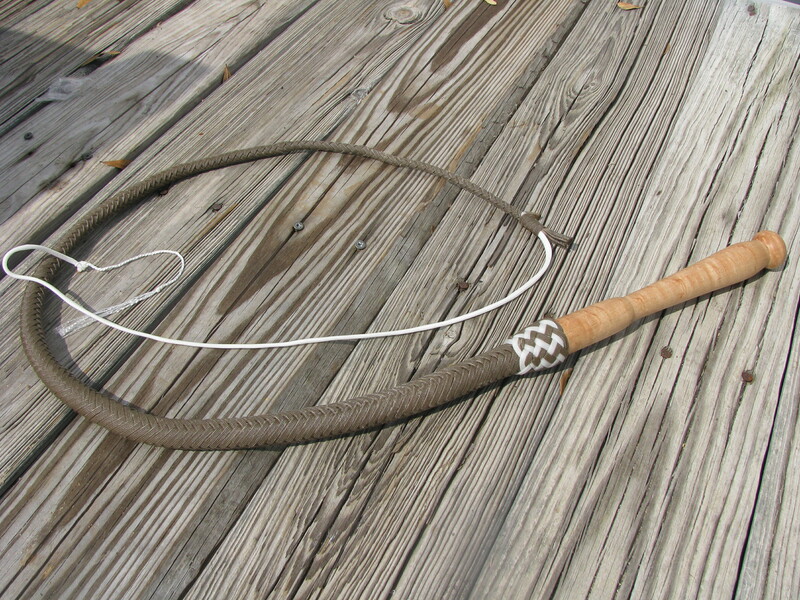 This entry was posted on Friday, March 16th, 2012 at 3:30 pm	and posted in bullwhips, for sale, nylon whips. You can follow any responses to this entry through the RSS 2.0 feed.